Tuesday December 5 – Iceland’s New Saga: Participatory Budgeting and Policy Crowdsourcing Tech was written on December 1, 2017 and filed in All. « « New Board member openings. Make an e-difference with E-Democracy.org. Ask a live question via Facebook comments or watch for a link that will let you do it via video. Or if you are in the Twin Cities, join us in-person – see below. Come join us on Tuesday, December 5th for some Midnight Madness at 6 p.m. at the start of the next Open Twin Cities Meetup in Saint Paul. 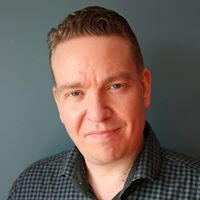 It will be midnight in Iceland when Robert Bjarnason with Iceland’s Citizens Foundation will join via a live video connection for 45 minutes. This has the potential to be even bigger than the Kensington Runestone … an s-mail that took over 500 years to deliver. Granicus – The generous conference room host! P.S. Below is a related post from civic tech circles. Pass this on. Is your community exploring participatory budgeting? If yes, what digital tools are you looking for or at? The Financial Times just wrote an interesting article on community idea generation and participatory budgeting in Reykjavik, Iceland. 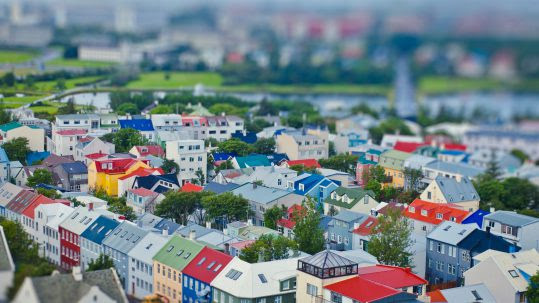 The City of Reykjavik just finished their 6th yearly round to allocate about 6% of the city budget on community improvement projects – that’s over $20M total over the years. Turnout was up 20 percent to a high of 11% of people voting via participatory budgeting (with over half completing the process via a mobile optimized experience). Reykjavik uses Your Priorities to gather and vet public ideas and then a more secure online voting system than you’ll likely find with many other PB projects due to the scale of spending. Both tools are open source, but in this case and with governments in other countries, the lead nonprofit Citizens Foundation can do the hosting, manage a locally hosted server, or build out any desired customizations. An new AI tool is also mixed in to raise up useful content. If you’d like to learn more, participate in a webinar on tools for PB or idea generation, please fill out this form. I’ve been in the civic tech space for over twenty years and the humble, make it simple, make it work Citizens Foundation approach is such a winner that my nonprofit decided to partner with them on global outreach. So please share this with those you think would be interested. P.S. Civic digital advertising outreach case study – The other week at the Council of Europe’s Participatory Democracy Incubator for cities, Robert Bjarnason with the Citizens Foundation and I had a chance to catch up. In one of those “ah ha” moments (at the bar of course! ), he mentioned that they invested heavily in online advertising via Facebook and some with Google Adwords. Spending about 13,000 Euros they reached just about everyone in Iceland recently. They tested and tracked different civic messaging and know what led to wasted paid visits and what led to actual deep participation. I pressed Robert to write a case study and he agreed! You can request the future case study and more information on their digital tools here.